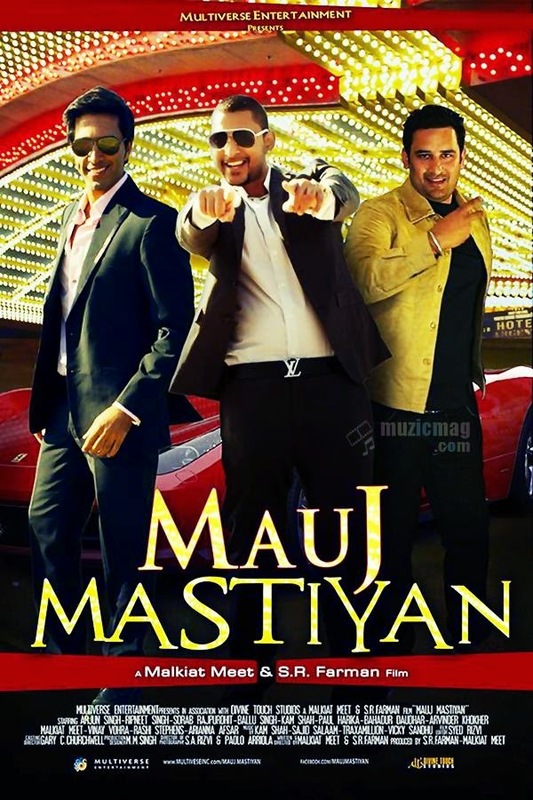 Mauj Mastiyan is an upcoming Punjabi feature film written & directed by Malkiat Meet & S R Farman. Mauj Mastiyan is situational comedy film with New Star Cast. Mauj Mastiyan is an upcoming Punjabi feature film written & directed by Malkiat Meet & S R Farman. Two friends decide to go to America to have some fun before they settle down. The Two boys, Daler and Teji are from respectable family; they ask their friend Purav to help them find fun places in America to party, since Purav is experienced. However, when they reach America, everything went wrong. Instead of having fun, they get mistakenly involved with gangsters and drug dealers. Star Cast: Arjun Singh, Ripneet Singh, Sorab Rajpurohit, Vinay Vohra, Ballu Singh, Kam Shah, Paul Harika, Bahadur Daudhar, Arvinder Khokher, Malkiat Meet, Rashi Stephens, Arianna Afsar, A.P. Sandhu, Aditya Verma, Poonam Verma, Baljeevan Dhaliwal & Many More. Plot outline: Mauj Mastiyan is situational comedy film with New Star Cast.